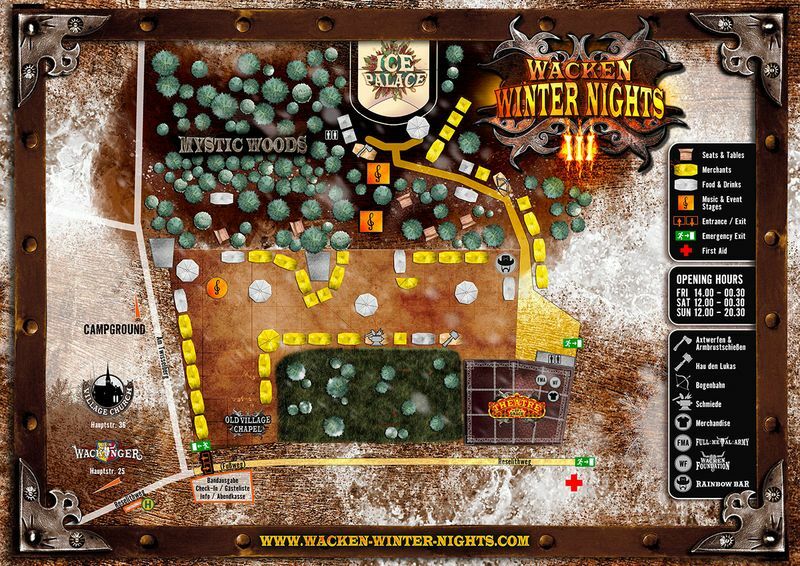 Wacken Winter Nights: WWN 2019 Event Area and Village Map! 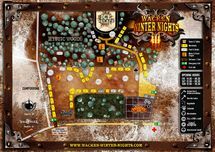 WWN 2019 Event Area and Village Map! 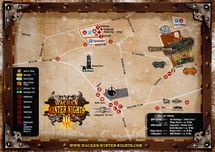 February is here and today we can supply you with l the new festival area maps. Also this year we have created two different maps. The first is a detail map of the event area and the second one is a map of the whole village with all points of interest like the Village Church or the Landgasthof "Zum Wackinger". You can find the maps here! As you can see a lot has changed. The biggest news is the new location of the Ice Palace which is now reachable by using a path through the Mystic Woods! As mentioned in the past the Ice Palace tent is on a brand new event area and has grown from a 4-pylon tent to a 6-pylon tent. On the path to the Ice Palace you can find several new stands as well as a new music venue called Mystic Woods 2 (you can spot both Mystic Woods venues via the clefs on the map). Also the village map has a few new additions. For example do we have a new breakfast tent on the campground which is situated at the shower camp. How many stages are at the festival area? What can I take with me to the festival area? You can find all these information in our festival alphabet sorted from A to Z which 2019 version will be released on Monday.